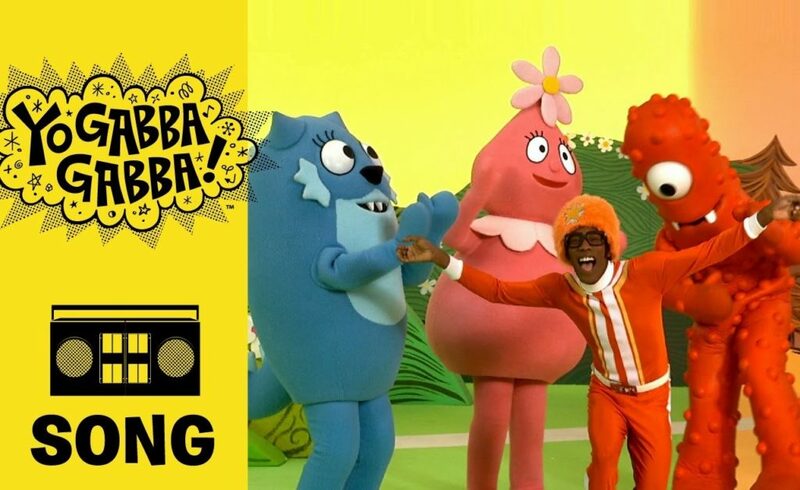 In order to discover a few new Yo Gabba Gabba tracks that you’ll be able to sing to with your kids, simply continue reading! Food first appeared on the Yo Gabba Gabba episode Doctor and is a catchy tune which gets kids to identify edible foods from non-edible objects. If your kids love Food, Not Food, it’s well worth watching the episode Doctor as it features a guest appearance from celebrity chef Anthony Bourdain, who plays Doctor Tony. If you often have trouble convincing your kids to eat breakfast, it’s well worth introducing them to the song Breakfast Party In My Tummy. In fact, Breakfast Party In My Tummy is so popular, that was on the Yo Gabba Gabba set list for its live concerts. So if you’ve ever attended a Yo Gabba Gabba concert with your kids in tow, you may have heard Breakfast in My Tummy live. If your family has a furry, fluffy or scaly pet, your kids will be sure to love We All Love Our Pets. Which is an original track by the band Taking Back Sunday, which is a popular alternative band. Be Nice To Everyone, is a simple yet cheerful, upbeat song which preaches the value of treating everyone you meet with kindness and respect. After all, if everyone treated everyone they met with kindness, the world would be a much nicer place to live in. If you have kids who are close in age and sometimes find it difficult to share their toys and food with each other, simply play I Love To Share by Yo Gabba Gabba and your kids may start singing about the virtues of sharing and not being selfish! In order to prevent your kids from eating too much candy, you may want to start playing Yo Gabba Gabba’s hit song Too Much Candy. Which was written to encourage your kids to limit their candy consumption and to opt for healthy snacks whenever they can. Tooth Fairy is a Yo Gabba Gabba song that will teach your kids what to do when they lose one of their baby teeth. If your small children are worried about losing their baby teeth, singing about a magical tooth fairy, who will take their baby teeth which fall out in exchange for money, may make your kids a little less stressed about losing their baby teeth. I’m So Sorry is a track which was designed to teach your kids the importance of apologizing when they have wronged their friends or family members. If you want to teach your kids when to say sorry, it’s well worth playing I’m So Sorry by Yo Gabba Gabba for your kids. Chances are high that your kids will love all of the catchy, kid-friendly songs which are listed above.